"I have great relationships with the heads of all the government departments and we are in regular contact, informing each other on the current situation," the anonymous official said on Thursday. "Around 2,000 [are detained] from the four neighborhoods of Kashgar city, as well as an additional 30,000 in total from the city's 16 villages." Upon taking office in Xinjiang, one of the first things Chen did was hire tens of thousands of new police officers, as he had done in Tibet. He has also pushed for the creation of reeducation centers to intern those who have shown themselves to be "politically unreliable" or resistant to Chinese state ideology. 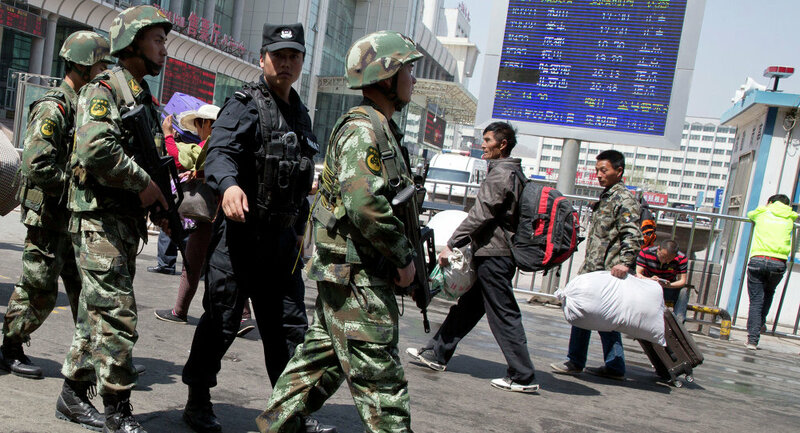 Beijing describes the centers as "extremism eradication" centers, meant to redirect the radical tendencies of those sent there in order to help them reintegrate into society. Although no official figures exist, the new detainees are estimated by RFA to number around 120,000. Maya Wang, an HRW China officer who has researched Beijing's reeducation camps in the past, told The Guardian on Thursday that she agreed with RFA's estimates — although she added that accurate estimates are impossible to gather. She also said that some liberal estimates placed the number of detainees past or present in Xinjiang at 800,000. "It's just like a black hole which people are added to and don't get out of." The real purpose of the centers, Wang said, was to brainwash Uighurs and slowly disassemble their native culture to supplant it with Beijing's. "At the political education facilities, they sing patriotic songs. They learn about [Chinese President] Xi Jinping thought. These are patriotic measures aimed at making Uighurs love the Chinese government," she said. "It's extreme repression and yet completely silent." Most recently in August 2016, a Uighur Islamist conducted a car ramming attack against the Chinese Embassy in neighboring Kyrgyzstan, injuring three embassy employees.